New Hand Wrist Trainer Grip Forearm Muscle Workout This Hand Grip has a different strength-adjusting function exercise by these griping and relaxing handles. You can adjust the grips from 10kg up to 40kg resistance to proper strength according to the individual exercise target. Ideal to train hand strength, relieve fatigue, develop muscles, promote blood circulation and prevent rheumatism arthritis. 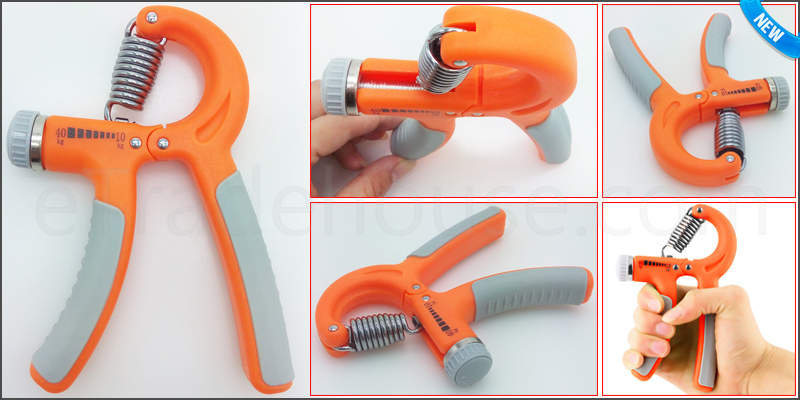 Adjustable Hand Gripper / Exerciser. Easily adjust tension by turning the knob from 10kg up to 40kg. Suitable for home or commercial use! 1x Grip Hand Wrist Trainer Workout.